Monday through Sunday, 9 a.m.-6 p.m. Welcome to the Beach! We are glad you are here, and we have everything you need “Just for the Beach”. 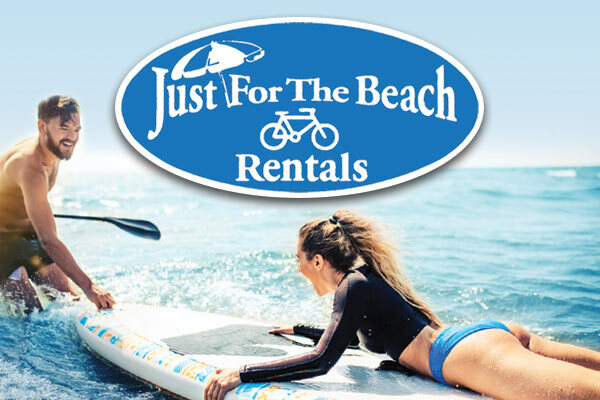 We stock bikes for the whole family, water sports equipment, beach equipment, baby equipment, and all of your cottage and entertainment needs. Pickup and delivery services are available seven days a week, including an express delivery option to guarantee delivery of rental equipment by 1 p.m. on the day of your arrival. Call us at the Kill Devil Hills location at (252) 441-9480 or (252) 441-6048, the Corolla location at (252) 453-9388 or (252) 453-6106, or the Duck location at (252) 299-5854.